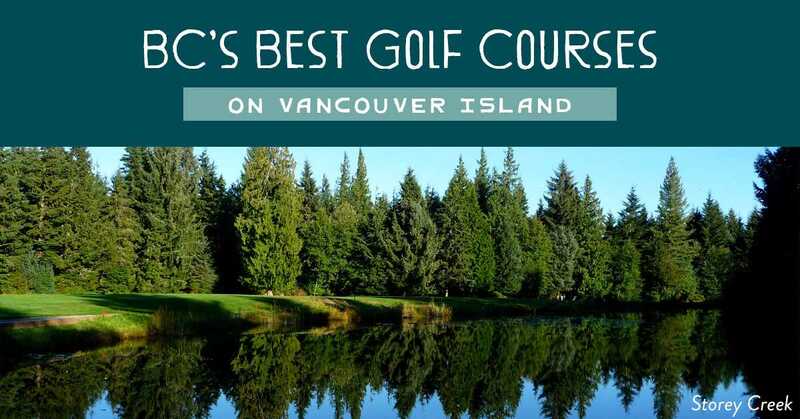 Posted March 20th, 2019 by golfvi & filed under Campbell River & Courtenay Golf, Golf Vacations, Tales from the Trail, Vancouver Island Golf Trail Blog, Victoria Golf. Canada’s only 36-hole Nicklaus Design property, The Westin Bear Mountain Golf Resort & Spa, Victoria, includes the rugged and scenic Jack & Steve Nicklaus Mountain Course and the tranquil yet equally challenging Valley Course. Find out why this golf resort consistently ranks highly on BC golf course rankings and across the country, including SCOREGolf’s Top 100 Courses in Canada. Create a custom package to visit other top public golf courses in Victoria BC, such as Arbutus Ridge Golf Club, Highland Pacific Golf Club, & Olympic View Golf Club. 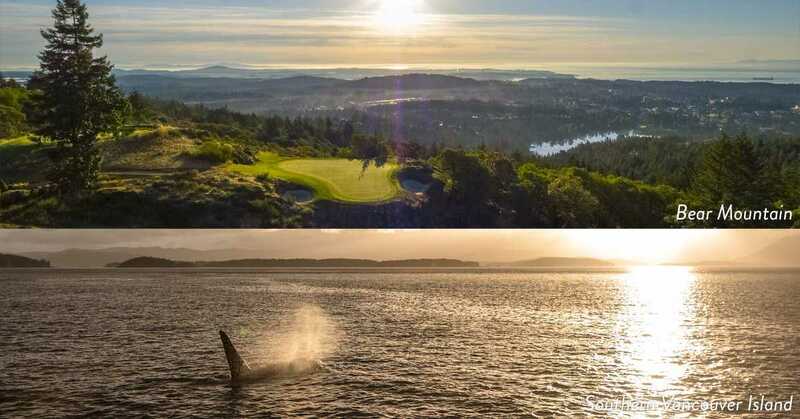 Once you’re all golfed out, as if that could happen, head out on a sunset tour with Prince of Whales Whale Watching, where you’ll have an opportunity to spot resident and transient orca (killer whale) pods, as well as gray, humpback, and minke whales. On your journey, you’ll likely spot sea lions, seals, porpoises and many types of marine birds. Bring a camera and get ready to discover the rugged beauty of Vancouver Island’s coastal waters. Picture waking up early to be the first out on some of the most prolific fishing grounds in the world and the thrill of wrestling and landing a big salmon while your mates cheer you on. In the afternoon, head to one of the local golf courses and enjoy a few hours of peaceful play at multi award-winning Storey Creek Golf Club or quaint and quiet Quadra Island Golf Club. Want a place to tell your “fish stories” with friends? Check out Campbell River Golf & Country Club’s Velocity Lounge and Driving Range and boast away while experiencing Western Canada’s only driving range with Toptracer technology. Once you’re in the swing of things, you won’t want to stop, so it’s a good thing you can head to another terrific golf course the next morning, or customize your package to include extra rounds if desired. Imagine six amazing golf courses on the Vancouver Island Golf Trail, in three distinct regions, plus luxury oceanfront and fairway-side suite accommodations for your stay on a six-day long golf adventure. Take in golf on top of a mountain, enjoy a course set in nature, visit a track carved from the wilderness and overall have an incredible experience at some of BC’s top golf courses on Vancouver Island, plus all the apres golf activities you can handle. Grab a bucket-list worthy BC golf vacation with a two-week Vancouver Island golf vacation, where you get to experience the full Vancouver Island Golf Trail. Fourteen nights, thirteen rounds on some of the best BC golf courses on Vancouver Island from north to south (or vice-versa), and a great story to tell when it’s all said and done. Feel free to add in local experiences on your journey, including fishing, whale and wildlife tours, swimming with the salmon, touring the Vancouver Island Ale Trail, and more. 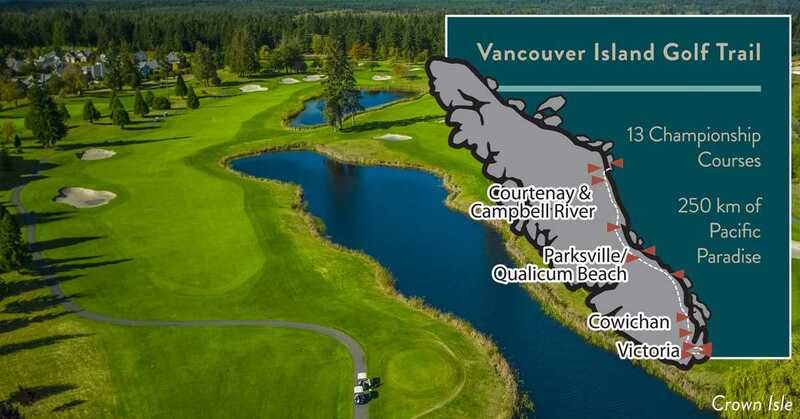 Golf Vancouver Island will take of booking your rounds and rooms, so pick a date and make your visit to these incredible BC golf courses on Vancouver Island a reality! If I could give them 8 stars, I would…I could not have planned it any better if I was doing it myself and the trip was one of the best we have taken. 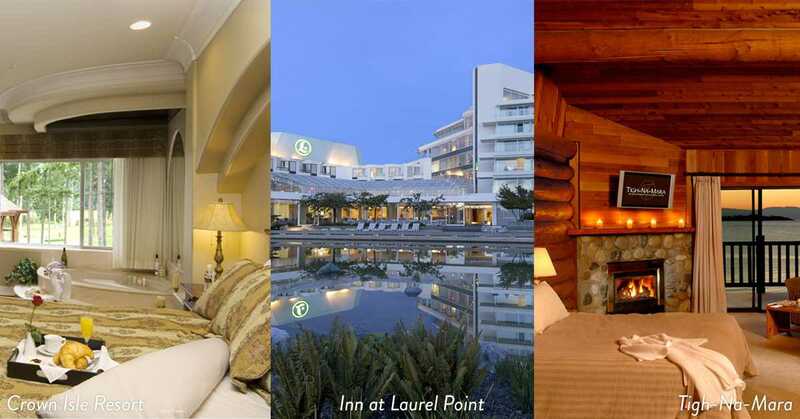 It was very easy and completely planned for us!… The places we stayed were all fantastic and the rooms excellent. 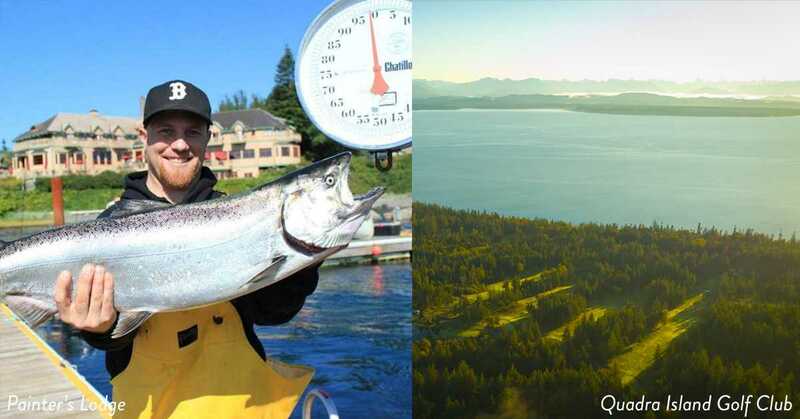 We seemed to get the best rooms in the lodges and their choices were fantastic… The fish gods were with us and we both caught beautiful Chinook’s from a small Whaler with Bald Eagles flying off our balcony. The other places were equally as nice and the golf is as good as it gets… We have been wanting to go on this for a while so anybody reading this, just roll the dice and do it!